Cross Connections Consulting is an appointed facilitator under the NSW EPA funded Circulate Program. 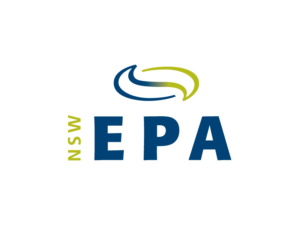 Circulate, NSW EPA Industrial Ecology is assisting businesses to achieve competitiveness and improved bottom lines through better environmental practices. The NSW Environment Protection Authority has funded Industrial Ecology facilitators to work with organisations in NSW to help them identify and implement projects that will reduce waste or provide them with resources to create new material. Cross Connections is currently funded to assist business generating building operational waste, including materials typically found in construction and demolition projects and shop refits, still going to landfill. Workshops have been held in the region to provide assistance to businesses, councils and end market users of recovered materials. These workshops have identified the materials being generated along with aggregators and processors. Cross Connections is facilitating introductions that result in greater landfill diversion, resource efficiencies and new opportunities in the circular economy. Local and viable options exist for companies generating “waste” with the ability to source separate materials, along with those organisations generating mixed waste. To receive quality advice under the NSW EPA Funded Circulate Program, either on the materials you are still sending to landfill or to find out if there are better alternative local options for the waste you generate.